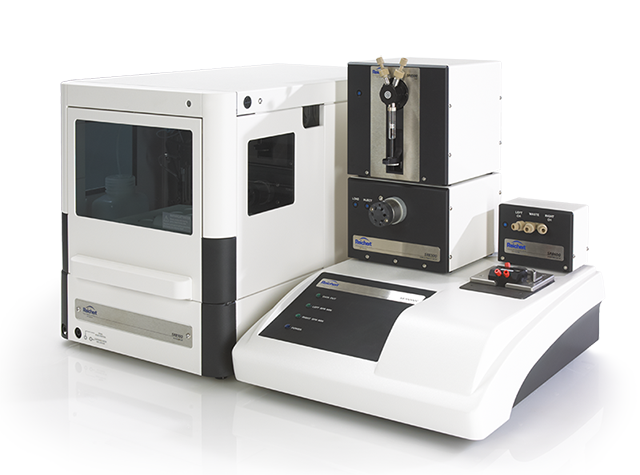 Our 2SPR pushes the limits of detection and sensitivity in label-free interaction analysis. The 2SPR Dual Channel System is the next generation of surface plasmon resonance (SPR) technology with incomparable sensitivity and high-quality binding data for interaction analysis - all in a flexible component-based platform. The key to the system is the advanced 2SPR Dual Channel SPR Spectrometer instrument. The 2SPR label-free system generates data on critical interactions between proteins, nucleic acids, lipids, carbohydrates, small molecules, whole cells, bacteria, viruses, and polymers. The 2SPR System is used in pharmaceuticals, drug discovery, antibody screening, protein structure and function, gene regulation, and systems biology. Download a comprehensive PDF flyer on the 2SPR.